He is the author of a series of historical thrillers including FLYPAPER, WINSTON CHURCHILL AND THE TREASURE OF MAPUNGUBWE HILL, THE LAST TITANIC STORY, LONDON UNDERGROUND, THE GODS OF LAKI and more. 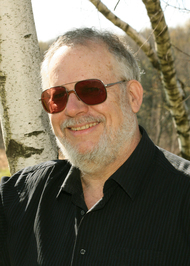 He is also the award-winning author of several works of nonfiction and of more than 400 essays, articles, book introductions, columns and reviews in a wide variety of publications, including THE NEW YORK TIMES and WORDSWORTH AMERICAN CLASSICS. To ask Chris Angus questions, please sign up. Chris Angus My commute to work takes about five seconds to cover the distance from the breakfast table to my study.
" Hi Carol! I'm so slow on replying to friends on Goodreads. But then I actually saw you in your car the other day, so I know you are still there! And d Hi Carol! I'm so slow on replying to friends on Goodreads. But then I actually saw you in your car the other day, so I know you are still there! And doing good things for Canton all the time! We’d love your help. Let us know what’s wrong with this preview of Pardon My French by Allen Johnson. We’d love your help. Let us know what’s wrong with this preview of Pardon My French by Catherine Hapka. We’d love your help. Let us know what’s wrong with this preview of Blue Darker Than Black by Mike Jenne. We’d love your help. Let us know what’s wrong with this preview of You Can Lead a Horse to Water by Robert Bruce Cormack.